The first thing I need to say is that I am no Kate Moss, I am size 14 and I have struggled with my weight. However, this is not to say that I haven’t had success. I am currently on track to losing my weight issues and hopefully some weight with them! This is mainly down to gaining good knowledge. Me, Size 14/16 me (a little has been lost since this picture) The urge to put a more flattering picture up was unbearable! The only fad dieting I have ever tried is cutting out Carbohydrates. For someone who loves a good plate of mash potato this was not successful, nor was it good for me. I did lose about a stone which was great but I soon slipped off the waggon and it all went on again. Plus it made me tired and grumpy, something poor Mr M struggled with. I love food far too much to restrict my diet and to be honest I don’t think it’s something people have to do in order to lose weight. One of the things that helped me see the light was the Anti Diet. The cravings list is an absolute winner (you can find it here) and the 80-20 rule is something that should have been completely obvious to me. There is nothing wrong with treating yourself, but if you "treat yourself" all the time then it stops being a treat. A slice of fudge cake tastes better than the whole cake.....just ask Bruce Bogtrotter. Additional to the Anti Diet knowing the facts on foods is a real big help. There are endless amounts of studies out there that try and credit or discredit food respectively. There are the studies that try to convince you that fruit will give you diabetes and that fast food can be healthy but to be honest believing them is just kidding yourself. Give Supersize Me a watch and tell me that fast food is good for you. It has very publicly been in the papers that fast food is addictive (more information here), a ton of studies have proved this but if you still need proof just try and cut it out for 30 days. I promise you will notice a difference. As a general rule I work on the basis that anything labelled as “convenient” is to be avoided. You haven’t got a clue what is going into your pre-packaged sandwich, something I can say with conviction after biting into a “Premier” sandwich from a large supermarket and getting a mouthful of used blue plaster. Yum. 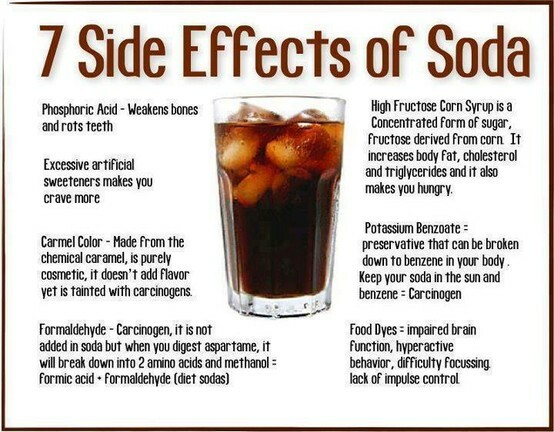 Fizzy drinks are another big one. I was a massive fan of pretty much anything with bubbles….if it fizzed I drank it. 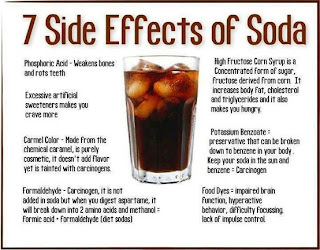 I have done the obvious trick on trying to cut calories by swapping to diet until I found out that the chemicals in diet drinks produce a reaction that make you feel hungry a little while after drinking it. Yes, you immediately feel full when you drink it because it’s super fizzy but if you thought about it I can guarantee you would feel hungry after an hour. So you drink, bloat, then feel hungry. Not good. All the science behind it is here. There is a real joy to be had in cooking from scratch, it’s a hard habit to break into but it is totally worth it when you don’t feel sluggish and tired, and you end up eating great food! The most important thing is not to starve then binge! If you starve your body it will store anything you do put into it. I found that I’m a “grazer” I need food every 2 to 3 hours otherwise I over eat at meal times. Find your pattern. Play around with it to see what works for you. But remember if you eat a massive meal in the evening you will go to bed with a stretched stomach and you will wake up twice as hungry, plus you are eating calories in time for your least active time. You don’t need a load of calories to sleep. For me though it is not all about the food I eat but the exercise I do. Or didn’t do. You don’t have to outright exercise if it scares you too much, just get more active, there are tips all over the Internet for how to add extra activity to your day, even the simple one of taking the stairs instead of the lift works. I am however a massive swimming fan. The hardest thing is doing it. Being body conscious is horrible, I know I’ve been there. The first time I rocked up to the local pool I was so nervous I hide behind Mr M until we got into the water! But being trapped by being too conscious is the absolute worst. It got to the point recently where I wouldn’t buy nice clothes because I was convinced that me being in them would ruin the niceness. But you have to get past that to improve it. It’s like getting closure from an old relationship. You need to accept before you move on. When I look at myself and I’m not happy about what I see I remind myself that I’m making changes and “I’m working on that”. Nothing will happen overnight. It takes something like 4 weeks for you to notice the changes in your body, 8 weeks for close friends and family, and 12 weeks for everyone else. Swimming is a great form of exercise. It’s easy on your joints and muscles, you don’t get so out of breath because your respiratory system is being used differently and best of all you don’t over boil because the water keeps you cool! People think it’s a low burn work out but it’s not….you are working your whole body. For just 30 minutes swimming you can burn between 200-350 calories, now when you consider an average person burns 500 calories running for an hour that is a great amount! (Swim on over here!). Ultimately you need to be happy within yourself, if being thinner would make you happier then work on it, if you are happy the way you are but people berate you ignore them. The only persons opinion you need to worry about is yours, unless you’re health is compromised then listen to the doctor.